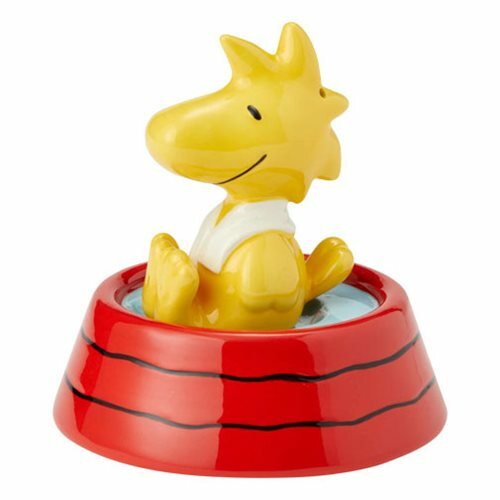 Peanuts fans will love this Peanuts Woodstock in Water Dish Salt and Pepper Shaker Set! Woodstock is all nestled in Snoopy's water dish in this clever stoneware salt and pepper shaker set. Measures about 3 7/8-inches tall x 3 5/8-inches wide x 3 5/8-inches long. Hand wash only. Not dishwasher safe. Do not microwave.